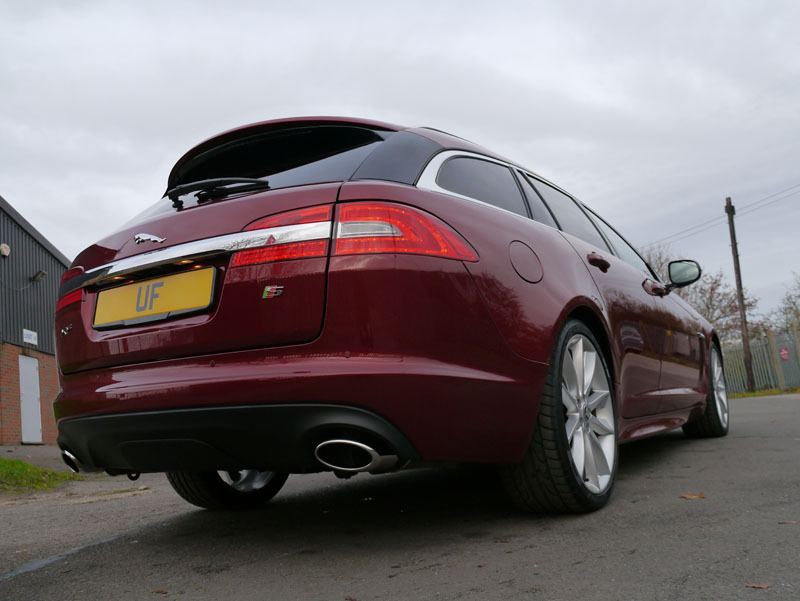 The Jaguar XF Sportbrake Diesel S is not an ordinary estate car. 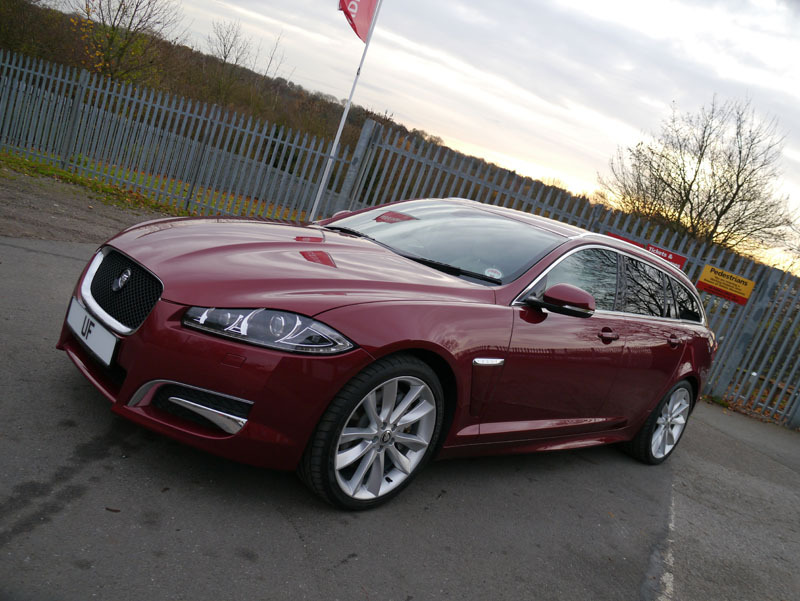 This a true Jaguar offering huge power and torque figures – 275PS and 600 Nm – from its 3.0 litre diesel V6 engine, which has parallel sequential turbo’s for zero lag and instant speed-freak gratification. If ever there was a car whose potential is hidden well, it’s this. 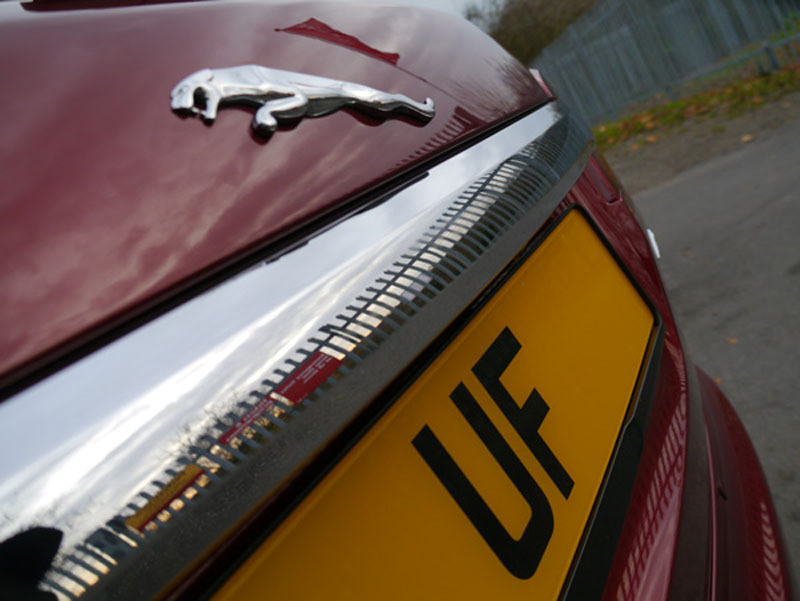 From the exterior, it just looks like any other Jaguar estate, but take note of the twin chrome fangs in the lower part of the front grille, and that small but important ‘S’ badge on the rear. See these, and there’s no point in you trying to beat away from the lights – unless you too drive something very fast, that is. The XF Sportbrake Diesel S will do the 0 – 60 mph run in just 5.9 seconds, thanks mainly to that beefy 442 lb ft of torque figure! Not only is this Jaguar quick, it’s surprisingly economical too, with an 8-speed gearbox making sure the engine is unstressed at even high motorway speeds. 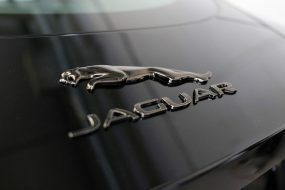 It also makes sure its owner is comfortable, with an interior as classy, luxurious and modern as its rivals have, but with that uniquely characterful feeling you get from any good Jaguar. This then, is what we like to call a ‘sleeper’. A fast, but inconspicuous car capable of swallowing vast amounts of luggage in its cavernous boot, that’ll eat continents for breakfast, before dispatching a hot hatch for lunch, and perhaps a section of autobahn for dinner. 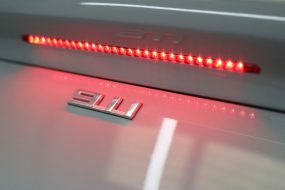 A fast car such as this used as a demo vehicle at a dealership will unfortunately be in for a hard time, and this particular example was no different. In its short time there, it had certainly been used and abused, especially by the salesmen, who had run it through mechanical car washes time and time again, dulling and causing swirls in the paintwork. 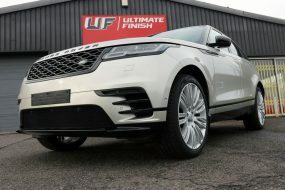 As well as this, the wheels had been poorly ‘smart’ repaired, and the chrome grille and panels had sanding marks from previous machine polishing. Lots to do then, and a Gloss Enhancement Treatment was needed to bring this wonderful car back up to former glory. Firstly, the wheels badly needed a deep clean, but because of the poor repair work, a solvent-based cleaner was out of the question as it would remove the paint. Instead, we went with Bilt-Hamber Korrosol to safely remove any dug-in metal particles, and then Valet Pro Bilberry Wheel Cleaner to finish off the cleaning without harming the paintwork, leaving a brilliant shine once again. Next, the pre-wash stage consisted of using Ultimate Snow Foam, getting underneath and lifting away the heavier grime so it could be rinsed off without scratching, and readying it for the next wash stage. 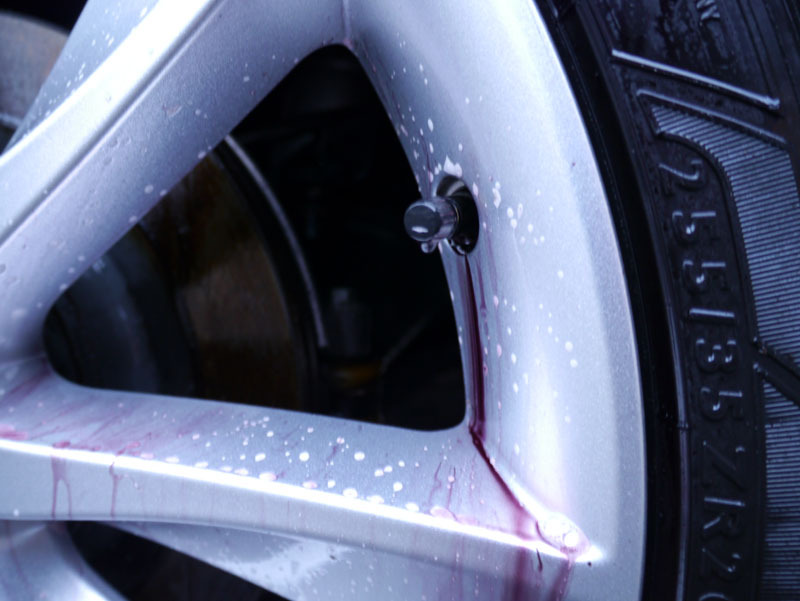 For this, we went with the wax-free Valet Pro Concentrated Car Shampoo, rinsing the suds away with water filtered through an Aqua Gleam De-ionising Water Filter, ensuring both zero watermarks were left behind, and also making drying time faster. Any water left was soaked up using a Gtechniq Zero Scratch Microfibre Drying Towel. Bilt-Hamber Surfex HD – a non-solvent based product – was put to use degreasing underneath the bonnet, the door shuts and around the boot edges where grime builds up. Next it was the decontamination process, designed to remove natural and industrial fallout (metal particles, bird dirt, tree sap etc.) 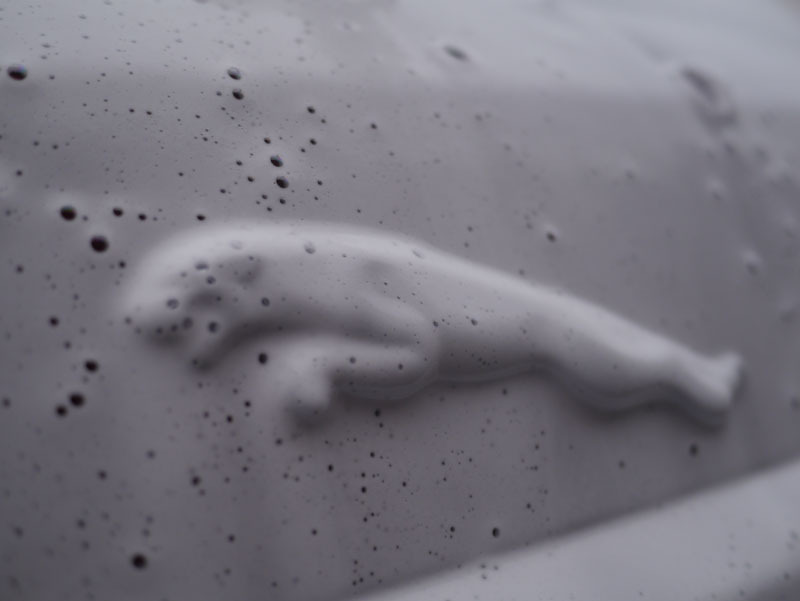 that gets ingrained into the surface of the paint, and this was carried out using Bilt-Hamber Auto Clay. That completed, it was time to correct that damaged paint finish, and bring it back to looking fresh again. As always, we used the FLEX PE14-2 150 Rotary Machine Polisher for the job. 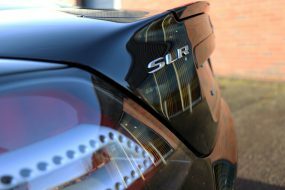 The first part of the correction process involved using the excellent one-step polishing compound SCHOLL Concepts S40 Anti Swirl-Compound Black, to remove any swirl marks, holograms and polisher marks. This was applied with a SCHOLL Concepts Black SOFTouch Waffle pad to achieve a high gloss swirl free finish. The glass was then sealed with Gtechniq G1 ClearVision Smart Glass, a product that forms a chemical bond with the surface to ensure ultra-high water resistance lasting up to 2 years, or 30,000 miles! The Jaguar’s paintwork now fully corrected, it was time to lay down some serious protection. Firstly, an ultra protective layer of Gtechniq C1 Crystal Lacquer was applied and left to cure for 4 hours before adding an additional layer of Gtechniq EXO. 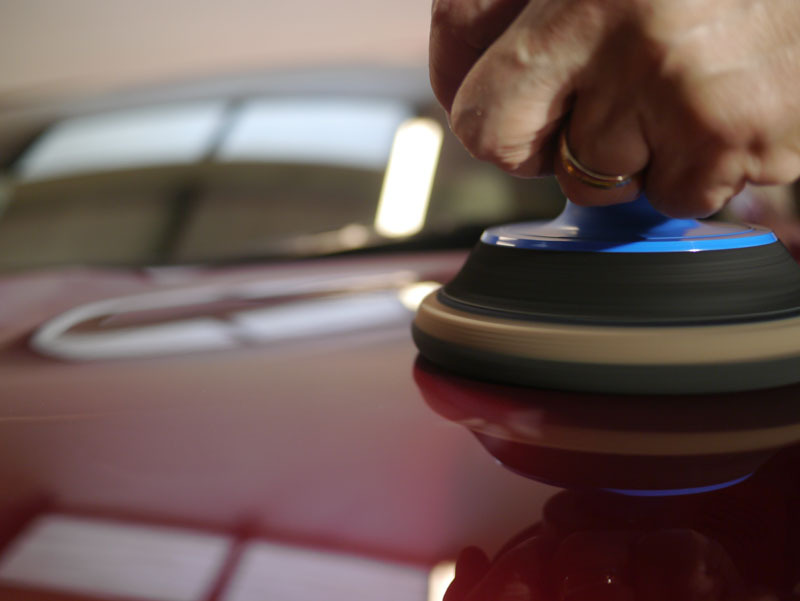 This two-stage process provides a scratch-resistant and slick high-gloss finish. 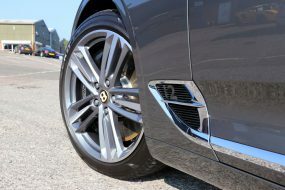 Swissvax Autobahn Wheel Wax – a highly durable and heat-resistant wax – was applied to the XF Sportbrake’s beautiful alloy wheels, as a nano-sealant would not be compatible due to the previous badly finished ‘smart’ repairs. 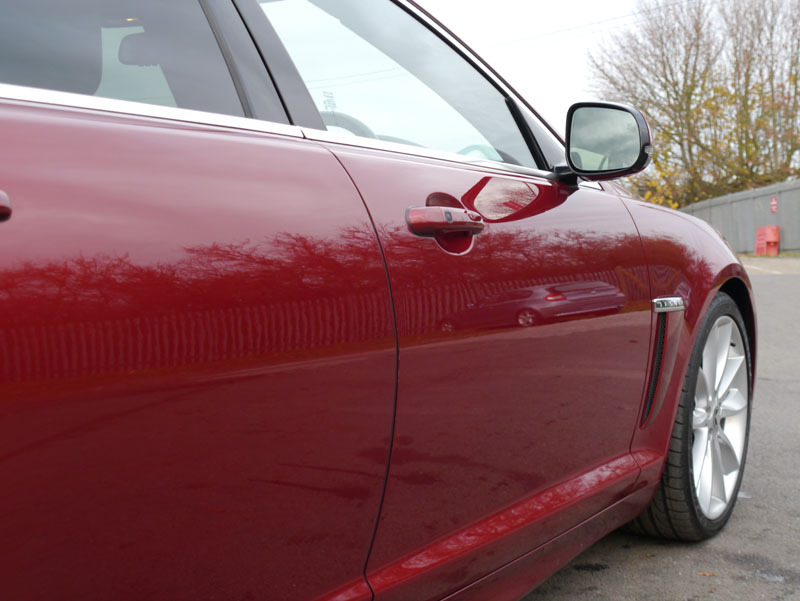 Our Gloss Enhancement Treatment complete, the Jaguar looked truly stunning once more, the beautiful dark red paint now having a deep lustre to it, with protection that will see it through many months ahead.